Description: A simple alternative start-up screen for NBA 2K14. 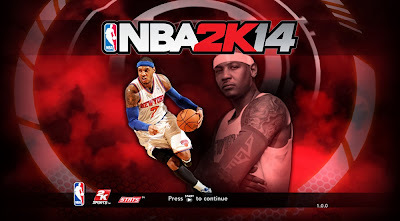 This mod replaces LeBron James with Carmelo Anthony. If you're a big Knicks fan, then this title screen might be one for you.